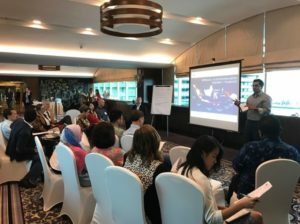 11 May 2017- APC kicked off the inaugural ‘ASEAN Community Impact Fund Workshop Series’ in Jakarta, Indonesia. This is a lead-up event to the launch of the ASEAN Community Impact Fund, with the objective to gather insights from sector experts on how best to utilize the fund in the areas of focus. This mission-driven, collaborative philanthropic fund aims to accelerate social progress in Southeast Asia through transformational interventions in healthcare, education and community building; focusing on Indonesia, Myanmar and the Philippines. 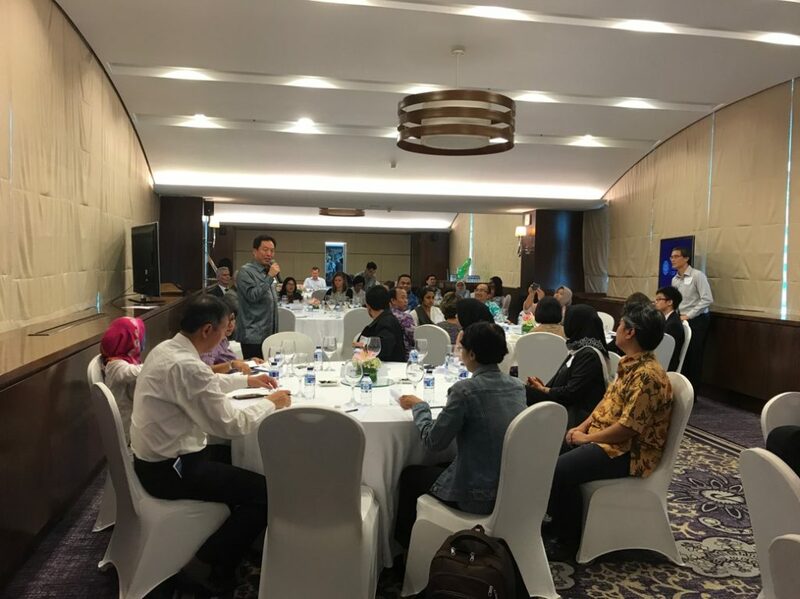 APC Indonesia Chapter Chair Victor Hartono and APC CEO Laurence Lien opened the workshop by highlighting the importance of collaboration and collective effort among stakeholders to combat complex problems in the region. Laurence pointed out that “philanthropists often work in silos; and our task is to connect the dots”. Participants at the workshop consisted of distinguished fellows, NGO leaders, multinational corporations’ leaders, aid agencies, and sector activists. The workshop was divided into two groups according to the two verticals, which are Nutrition and Education-to-Employment (E2E)/Sustainable livelihood. The first group discussed nutrition and the issue of stunting in Indonesia and was moderated by Gautam Ramnath, APC’s fund consultant and a nutrition expert. The second discussed the E2E/Sustainable livelihood issue and was moderated by Patsian Low, fund consultant and philanthropy advisor. Participants were actively engaged in the discussion, which resulted in new ideas for intervention and in identifying underlying problems in local communities. Onthe E2E side, poor quality of teachers emerged as the most urgent issue to be addressed. In the nutrition discussion, participants described the current situation with fragmented interventions and lack of coordination amongst stakeholders. APC is looking forward to foster new partnership and collaboration with distinguished workshop participants, and many have approached APC team with ambitions to collectively produce greater impact. Similar events will be held in Philippines and Myanmar in the near future in order to gather deeper insights for the fund design.